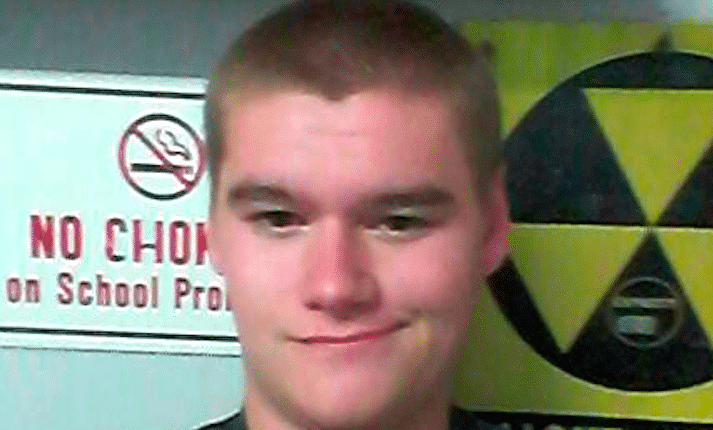 Pictured, Mitchell William Adkins, Kentucky Transylvania University machete attacker. Image via Facebook. Mitchell William Adkins: Kentucky Transylvania University machete attacker sentenced to 7.5 years jail after demanding to know victims political orientation. A Cincinnati man charged in a 2017 machete attack on the campus of Kentucky‘s Transylvania University has been sentenced to 7.5 years jail. The Lexington Herald-Leader reported 21-year-old Mitchell William Adkins apologizing for his actions upon being sentenced Friday. He has already served 68 days in jail, according to Lex 18 following pleading guilty in November to assault, terroristic threatening and menacing. In April 2017, Adkins walked into the Jazzman’s Cafe coffee shop at Transylvania University at about 9am, armed with a machete and knives. Witnesses said Adkins, a former student, asked people about their political affiliations; prior to attacking. Two female students, who claimed to have been Democrats, suffered non-life-threatening injuries. One was treated at the hospital and the other was treated at the scene. He allowed a male to walk after after he said he was a Republican. Mitchell William Adkins Buzzfeed commentary. 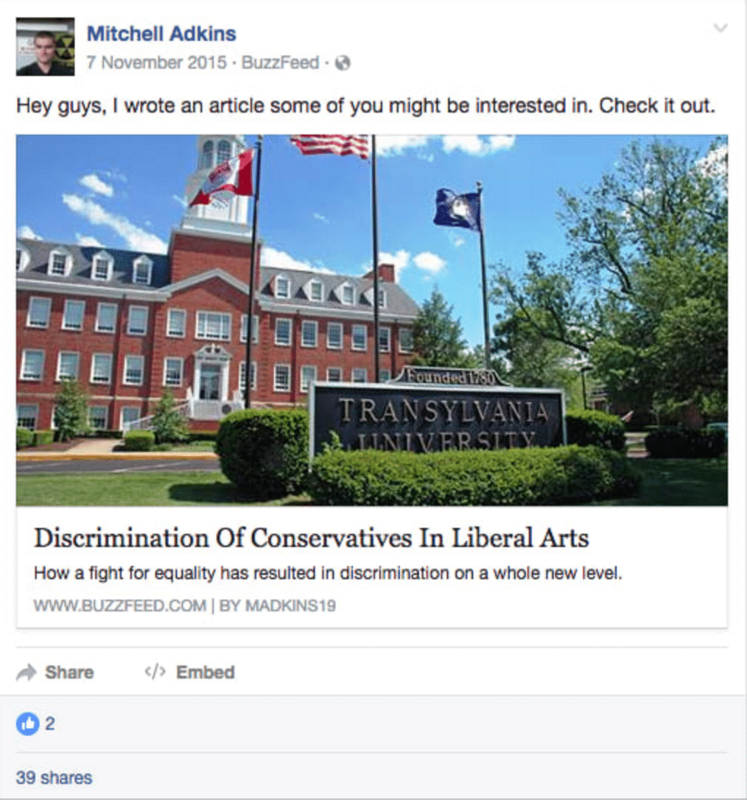 The incident followed Atkins previously complaining about the treatment of conservatives on the college campus and claimed to have dropped out due to ‘the constant bullying and lack of friends,’ according to a community post he wrote on BuzzFeed in November 2015. Adkins added, ‘All of these people who are all about non-discrimination and against bullies and all for equality, are more than happy to turn around and scream at someone for being different, kick him to the ground, and leave him there. Adkins pleaded guilty in November to assault, terroristic threatening and menacing. He will be eligible for parole after serving 20 percent of his sentence. Mitchell Adkins Transylvania University machete attacker: Are you a Donald Trump supporter?